We have 8 parts left to print of Max! If you would like to help assemble Max come to the BIF Atrium on November 9th from 2:00-5:00pm! 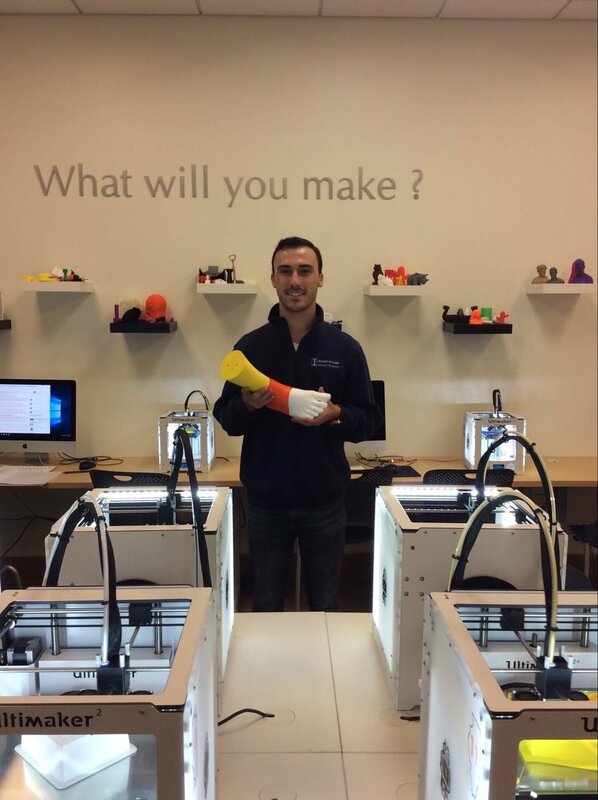 Here are some pictures of the MakerLab team holding various parts of Max. Unboxing the New Ultimaker 3! Out with the old and in with the new! 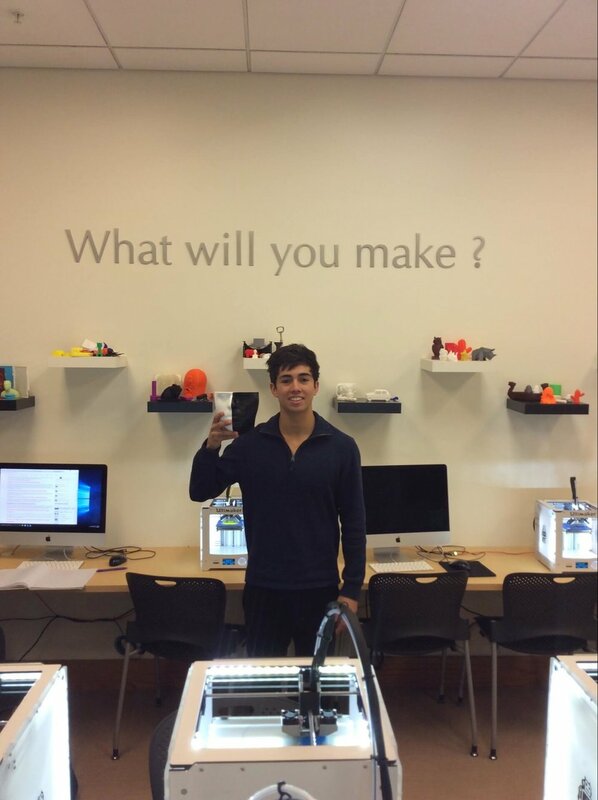 The MakerLab has just installed its first Ultimaker 3! The Ultimaker 3 looks very similar to the Ultimaker 2+ in the MakerLab. The difference lie not in looks but in other features of the machine. The Ultimaker 3 features a build plate that is lighter and stiffer as well as a new and imporved optimized cooling system. Both of these new features allows for a smoother, cleaner and faster print. But, in my opinion, the coolest feature of the Ultimaker 3 is dual color printing. You can now have 1 print be made of 2 different colors!!! Stop by the MakerLab to see this new printer in action! A couple of weeks ago, I talked about how the MakerLab printing iconic buildings around campus for the Provost's Office (This Week of Making- Week42). 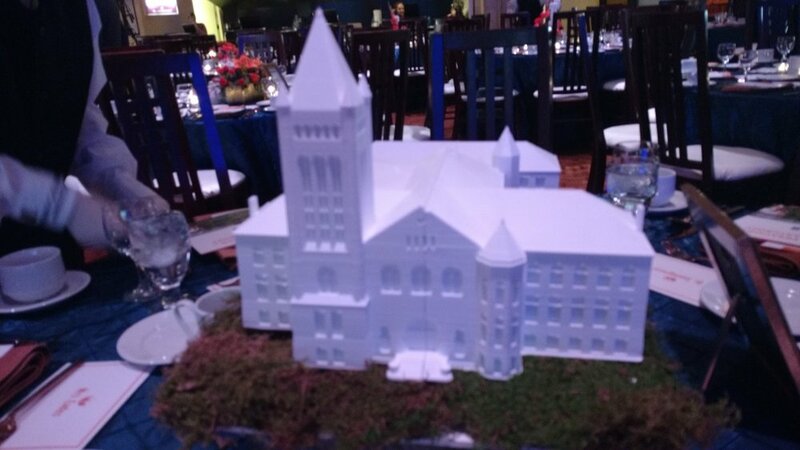 Here are some pictures of the iconic buildings at the fundraiser and the Column I that we printed for them! Every wanted to make one of your classes easier to understand? Allison Nowak is doing exactly that! Allison is a senior in Agricultural and Biological Engineering. She is specializing in Food and Bioprocess Engineering with a minor in Food Science. She is printing a hardware demonstrator called a PID (Proportional-Integral-Derivative) Control. She is working on an Independent Study project with Dr. Grift in the Agricultural and Biological Engineering Department. Dr. Grift hopes to integrate these demonstrators into his ABE 425 course: Engineering Measuring Systems. What is a hardware demonstrator and how does this make the course easier? A PID Control is a way to bring a given input to a desired output. All of this is based upon parameters and weights given to each of the three types of control it exhibits: Proportional, Integral, and Derivative. Currently, a PID Control is taught using very complicated mathematics. Using things like differential equations and Laplace transforms. This can be very hard to conceptualize. These demonstrators show how the PID works. Students can see the results without having to visualize the complicated math. 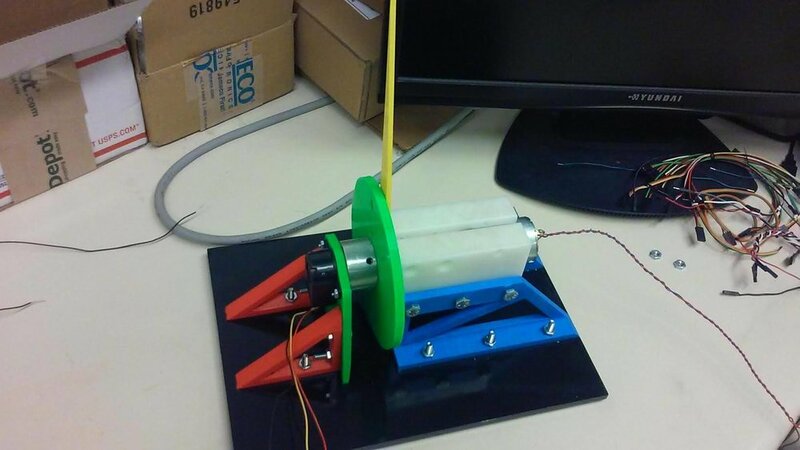 Allison has made a prototype of this PID Control and is right now working on printing eight complete demonstrators.